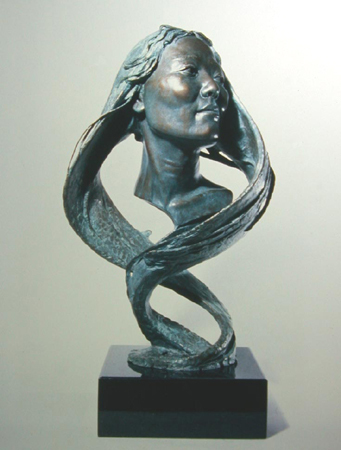 This imaginative bust captures the vibrant creative spirit of Hai Ou who, along with her husband, have been great friends of the artist for many years. Hai Ou, a very fine artist in her own right, has introduced China to Barry and encouraged several trips to that country. The bust was commissioned by Hai Ou's husband, Henry DeValle.